There has been a lot of back and forth on line recently regarding whether Obama deserves blame for the gridlock in Washington. Ezra Klein explained the fallacies once again in the Green Lantern view of the presidency as a character with near infinite powers. Ron Fournier continues to play the false equivalency game in trying to blame both the left and right, ignoring the considerable differences between the two and the unprecedented levels of obstructionism since Obama was elected. He seems to think that being a typical politician and promising more than he can deliver is somehow equivalent to the Republicans deciding to oppose anything proposed by Obama from day one. 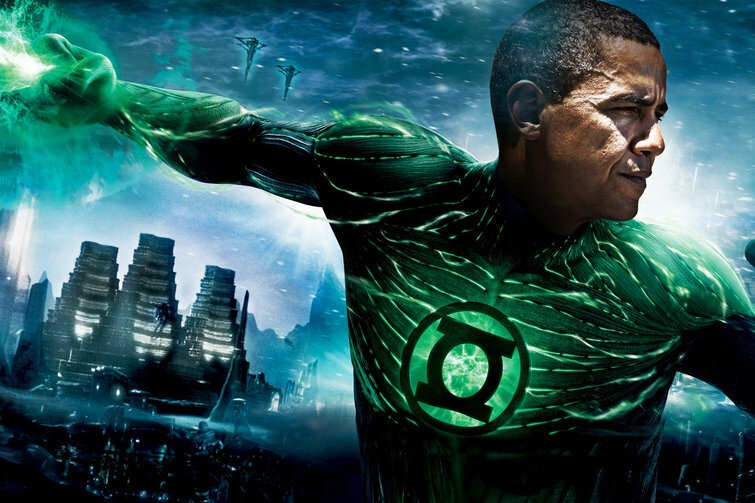 Jason Linkins suggested a more realistic view of Obama. If he isn’t Green Lantern, he might be more like Agent Coulson: “team-assembler, favorable environment provider, manager of discrete tasks and outsized personalities, quick to adapt to changing circumstances, eminently mortal, and yet (spoiler alert) at times resurrectable.” Last year Linkins wondered if Fournier could read when he made the same mistakes. “You’ll hear if you watch the nightly news or you read the newspapers that, well, there’s gridlock, Congress is broken, approval ratings for Congress are terrible. And there’s a tendency to say, a plague on both your houses. But the truth of the matter is that the problem in Congress is very specific. We have a group of folks in the Republican Party who have taken over who are so ideologically rigid, who are so committed to an economic theory that says if folks at the top do very well then everybody else is somehow going to do well; who deny the science of climate change; who don’t think making investments in early childhood education makes sense; who have repeatedly blocked raising a minimum wage so if you work full-time in this country you’re not living in poverty; who scoff at the notion that we might have a problem with women not getting paid for doing the same work that men are doing. “When we talk about taxes we don’t say we’re going to have rates in the 70 percent or 90 percent when it comes to income like existed here 50, 60 years ago. We say let’s just make sure that those of us who have been incredibly blessed by this country are giving back to kids so that they’re getting a good start in life, so that they get early childhood education…Health care — we didn’t suddenly impose some wild, crazy system. All we said was let’s make sure everybody has insurance. And this made the other side go nuts — the simple idea that in the wealthiest nation on Earth, nobody should go bankrupt because somebody in their family gets sick, working within a private system.